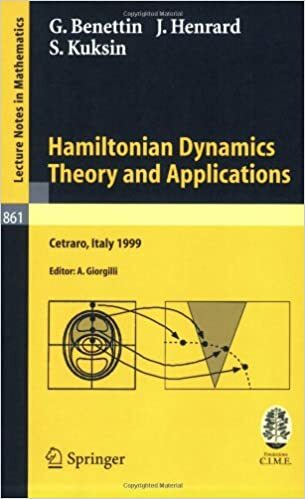 This volume compiles three series of lectures on applications of the theory of Hamiltonian systems, contributed by some of the specialists in the field. The aim is to describe the state of the art for some interesting problems, such as the Hamiltonian theory for infinite-dimensional Hamiltonian systems, including KAM theory, the recent extensions of the theory of adiabatic invariants, and the phenomena related to stability over exponentially long times of Nekhoroshev's theory. The books may serve as an excellent basis for young researchers, who will find here a complete and accurate exposition of recent original results and many hints for further investigation.